There are a number of items of interest on this Tuesday’s Pedestrian/Bicycle/Motor Vehicle Commission agenda. First up on the agenda is the 2016 Crash Report. The good news is a significant reduction in reported crashes involving people on bikes (98, down from 118 in 2015 and 135 in 2012). 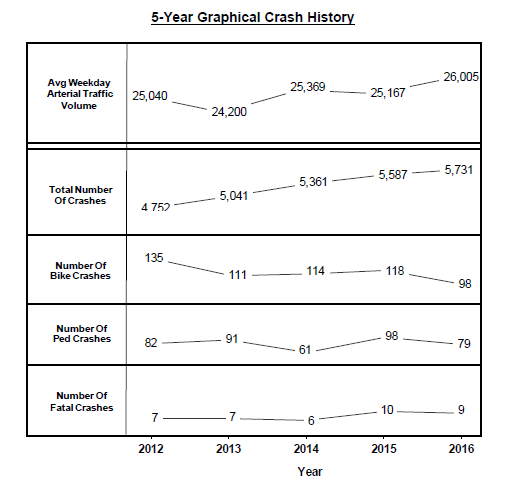 The bad news is a continued increase in the overall number of crashes in Madison (5,731) resulting in an estimated $113 million in economic loss and the nine traffic related fatalities last year--five of which were pedestrians. At 5:30, there will be a Public Hearing on potential pedestrian and bicycle projects. You can share your ideas in person or send them to traffic@cityofmadison.com. Adopting the Downtown Madison Bicycle & Moped Parking Study is also on the agenda. This is a study that was commissioned several years ago and is coming in front of PBMVC after going through the Plan Commission and Transit/Parking Commission. There are several recommendations from the study that Planning Division staff have taken issue with. You can review that difference of opinion in this Staff Report. The final item on the agenda is Amending Section 12.167(2)(c) of the Madison General Ordinances to allow bicycles to be ridden within a portion of the West Mifflin Street section of the State Street Pedestrian Mall. This is an important precursor to moving forward with some infrastructure changes that will better facilitate bicycle travel from State/Mifflin/Carroll to Mifflin/Fairchild. This is another item that would benefit from emails/testimony in support. You can attend this meeting in person and provide comment on any agenda item you wish or you can also watch the meeting online on the City Channel. On Wednesday, the Middleton Pedestrian, Bike, Transit Committee will meet again after taking a break in June. On Friday, consider attending Cinematheque’s screening of Citizen Jane: Battle for the City. "a timely tale of what can happen when engaged citizens fight the power for the sake of a better world. Arguably no one did more to shape our understanding of the modern American city than Jane Jacobs, the visionary activist and writer who fought to preserve urban communities in the face of destructive development projects. Director Matt Tyranuer (Valentino: The Last Emperor) vividly brings to life Jacobs' 1960s showdown with ruthless construction kingpin Robert Moses over his plan to raze lower Manhattan to make way for a highway, a dramatic struggle over the very soul of the neighborhood." Madison Bikes is co-hosting the screening and a discussion with the executive producer of the movie, Juliet Page. 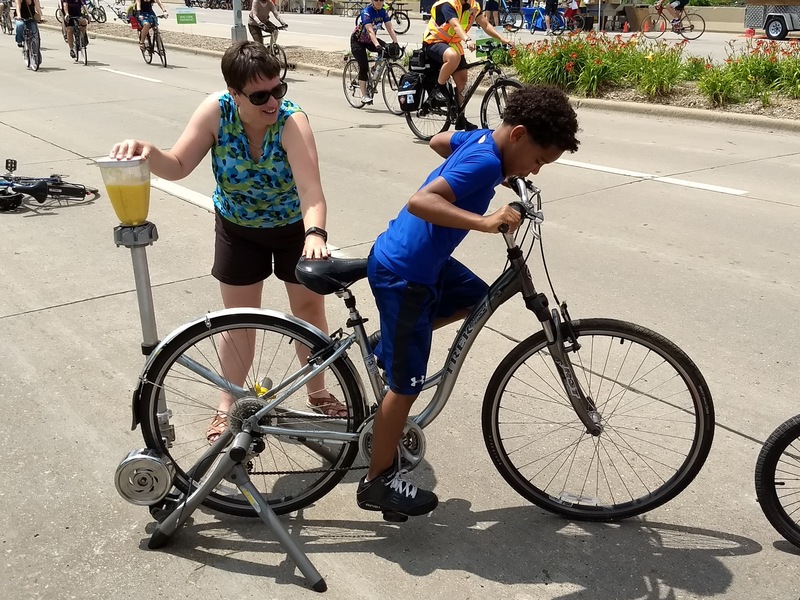 And on Saturday: Join the Clean Lakes Alliance on their Loop the Lake, their "annual bike ride around Lake Monona that highlights our community’s lakes and lakeshore bike paths." June’s Pedestrian, Bicycle, and Motor Vehicle Commission meeting had a few topics of interest, including a Project Database update resulting from the suggestions received last year for pedestrian/bicycle improvement projects (0:21:22 in the linked video); notification that Park Street will be part of a Smart Cities “Connected Park Corridor Initiative”that is hoping to pave the way for autonomous vehicle travel (1:42:36); and discussion of the upcoming North Blair Street reconstruction including the importance of working to improve the intersection with Mifflin Street--location of the current HAWK signal (2:59:36). 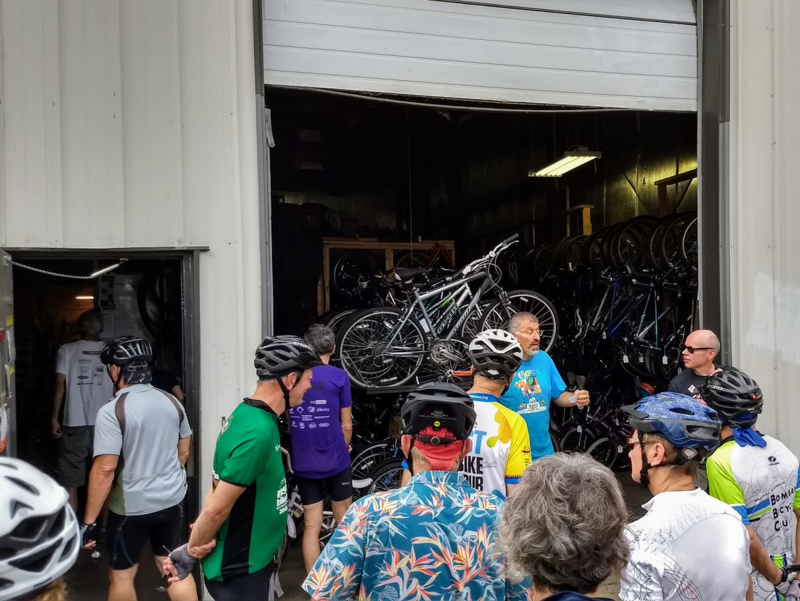 On 6/28-30, several Madison Bikes board members and a number of other local advocates were happy to join with city, business, and advocacy leaders from across the country at the Places for Bikes Conference. Several of the key talks are available to watch on their website. On July 14, the Transportation Ordinance Rewrite Committee met to finalize a draft of the new transportation ordinance that will be reviewed at Common Council in August or September. This is the legislation that would significantly reorganize our transportation committee structure and calls for the hiring of a Transportation Director for the city. Also on Friday, the city put out the 2017 call for bike/ped improvement suggestions that should make their way into the database that was introduced at last month’s PBMVC meeting. And last Sunday, there were many smiles and smoothies to be had at the popular Ride the Drive. Courtesy of the great folks at Saris, we had a bike-powered blender. At the end of the day, we had blended and served almost 500 smoothies! Thanks everyone for stopping by. You can find plenty of pictures and video footage at the end of the post after the fold. This week will be relatively quiet. On Tuesday, join Bombay Bicycle Club and Spokehaven for their Taco Tuesday Ride. And on Wednesday, the Madison Bikes Advocacy Committee meets at Bendyworks. City Asks: Where to Invest in Bike Infrastructure?